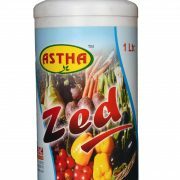 Astha Zed- Plant Micro Nutrient - Lila Agrotech Astha Zed- Plant Micro Nutrient – Lila Agrotech Pvt. 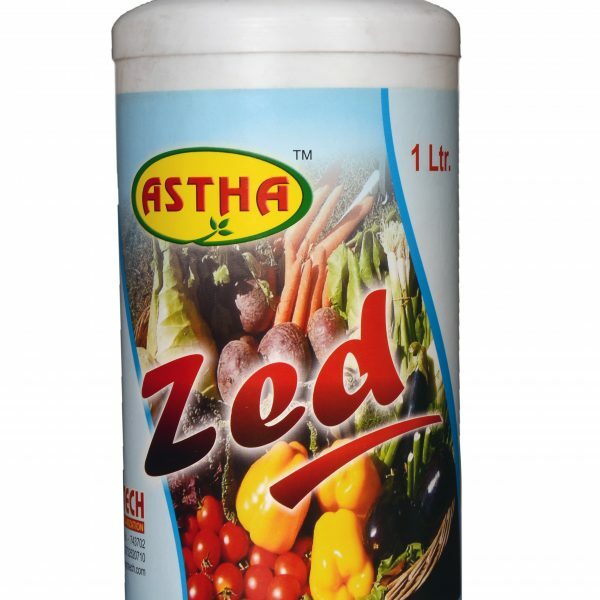 Ltd.
Astha zed is one of the essential plant micro-nutrient. 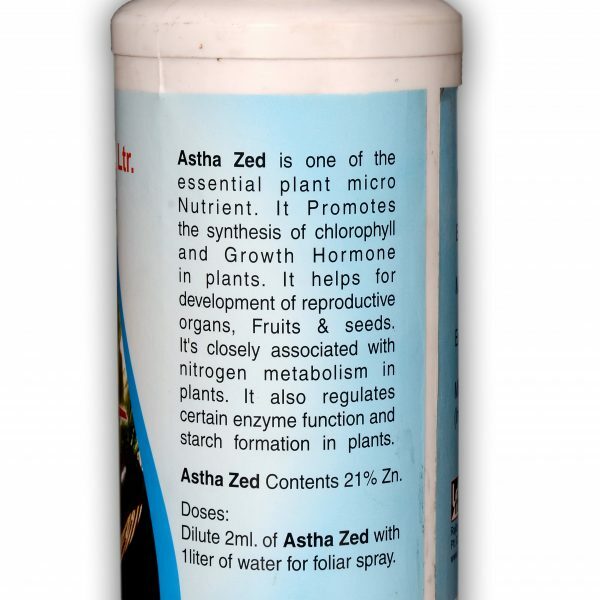 It promotes the synthesis of chlorophyll and Growth Hormone in plants. When the soil is deficient in zinc and plant growth is stunted. Zinc deficiency causes a type of leaf discoloration called chlorosis, which causes the tissue between the veins to turn yellow while the veins remain green. Chlorosis in zinc deficiency usually affects the base of the leaf near the stem. Chlorosis appears on the lower leaves first, and then gradually moves up the plant. In severe cases, the upper leaves become chlorotic and the lower leaves turn brown or purple and die. 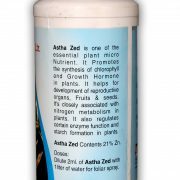 When plants show symptoms Astha zed helps for development of reproductive organs, fruit & seeds. 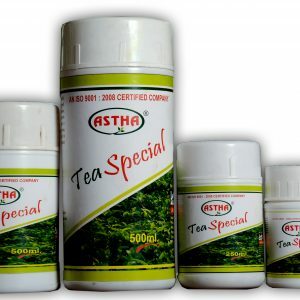 It’s closely associated with nitrogen metabolism in plants. 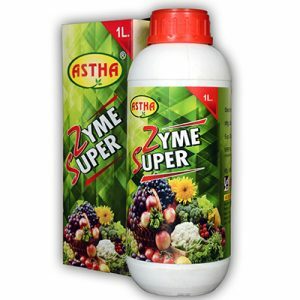 It also regulates certain enzyme function and starch formation in plants. Astha Zed contents 21 % Zn. Dilute ½ ml. 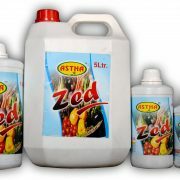 of Astha Zed with 1 Liter of water for foliar spray. 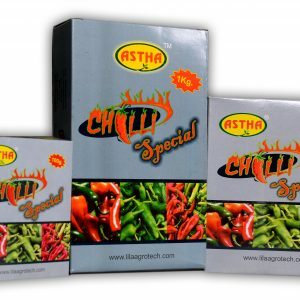 Available Packing – 100 ml. 250 ml. 500 ml., 1 Ltr. 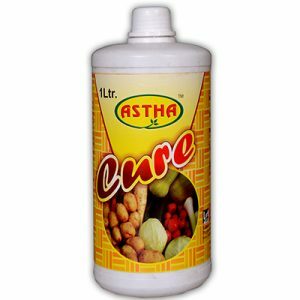 , 5 ltr.